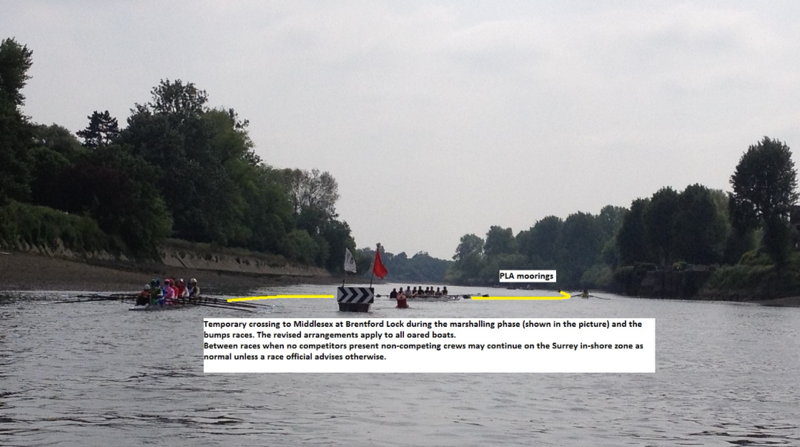 Please follow officials' advice (when present). 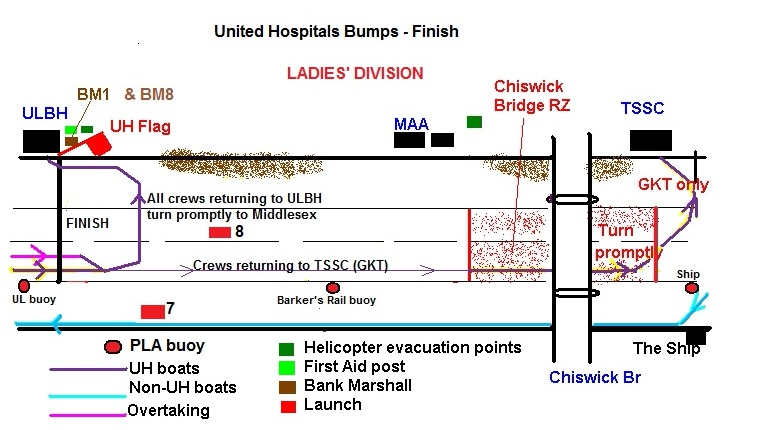 We will have officials at the revised crossing and the PLA mooring during the period that the revised arrangements are in place (if there are no officials in attendance please use the normal navigation rules). 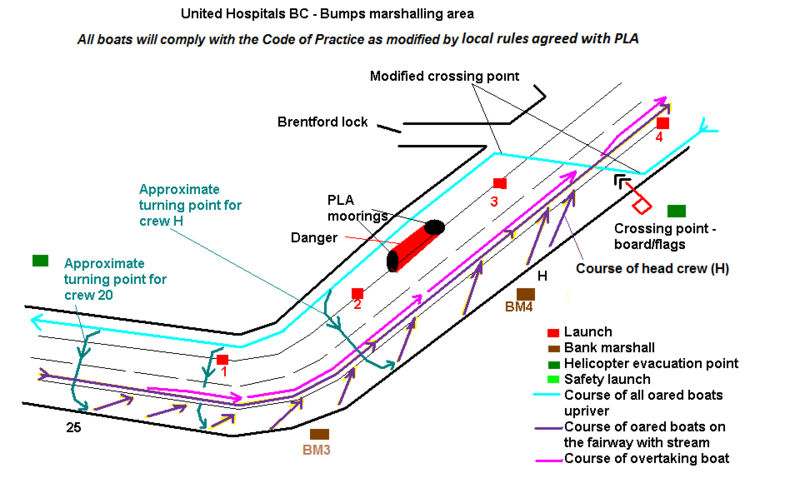 If you have been asked to take the revised crossing at Brentford Lock by the race official stationed by the moored boat with the black and white arrows; then there will be a further official at the PLA mooring to assist your safe passage in this area. 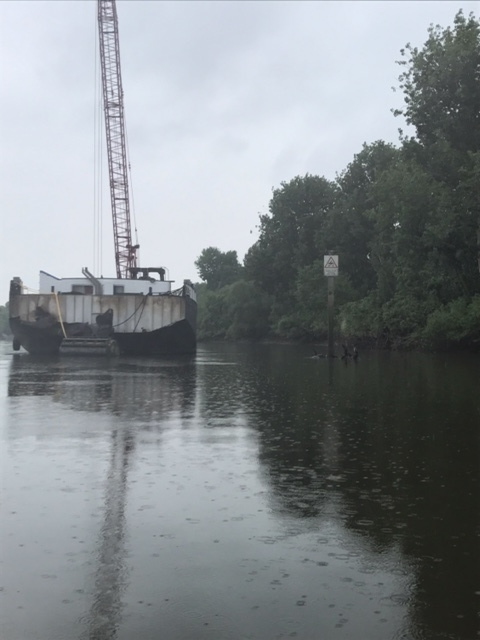 There may be a large crane moored at the PLA moorings, or other moored vessels. 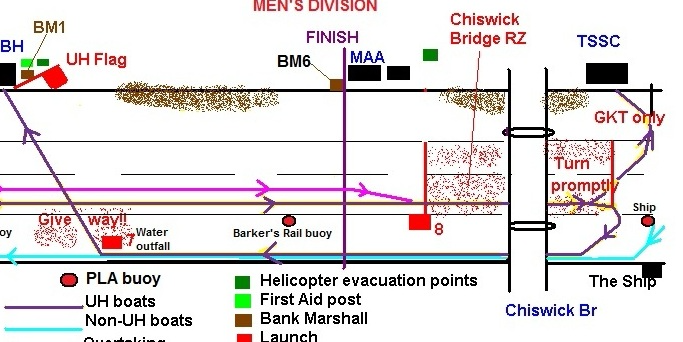 The notes below assume that the crane is in place but the navigation instructions apply in all circumstances. 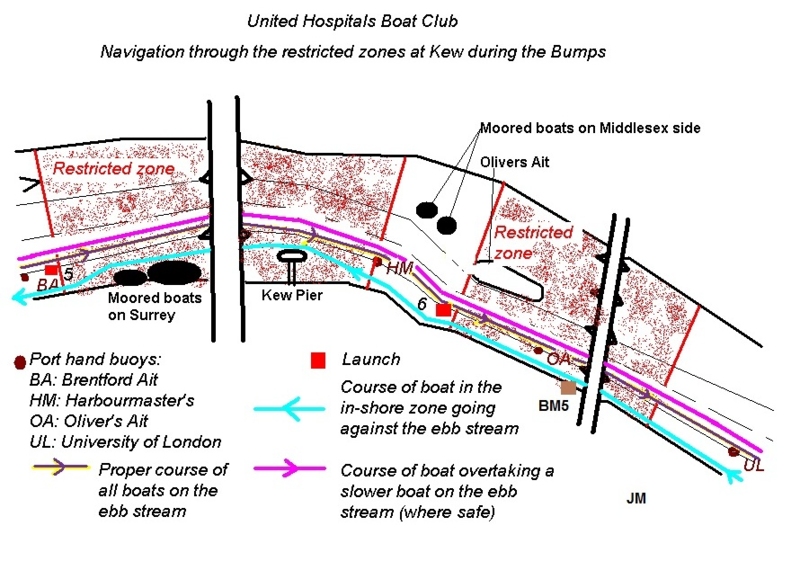 It is possible that crews will be able to pass between the mooring and the wooden post ('red' route shown below) or between the woden post and the Middlesex bank with care ('yellow' route shown below). 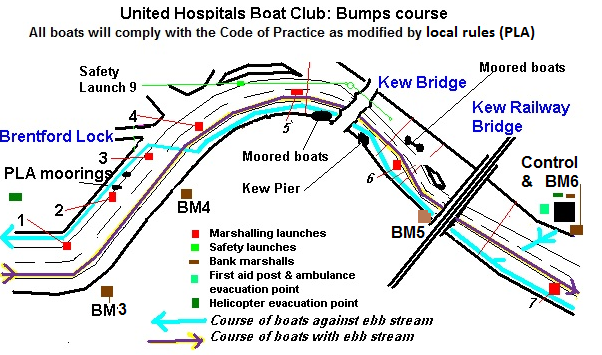 It may be necessary to move carefully out in front of the mooring to move round it ('blue' route shown below). 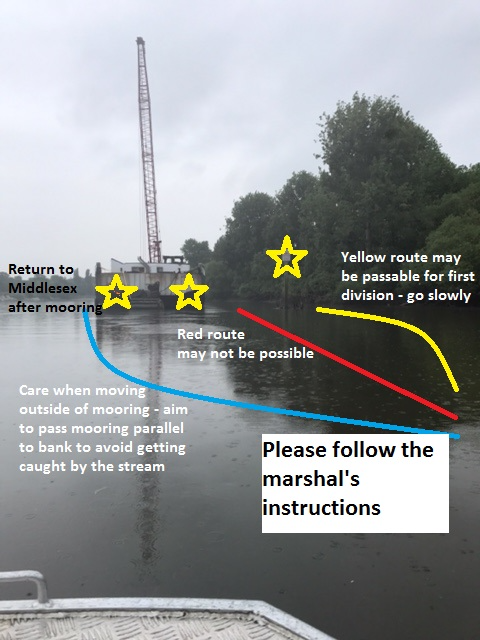 Please follow the marshal's instructions at this point and take great care. 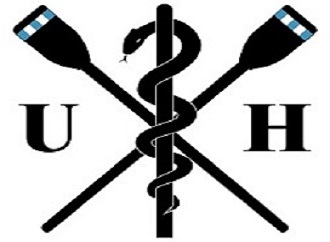 Please note that this applies to all oared boats, not just competitors.